A doctor of nursing practice (DNP) is the terminal degree for RNs pursuing a leadership role in clinical practice, advanced practice registered nursing (APRN), teaching, hospital administration, or research. Fortunately, the demand is high for professionals in each of these fields, with APRNs leading the pack. According to the Bureau of Labor Statistics, APRN employment will grow 31 percent over the next decade, much faster than the average for all occupations. To qualify for positions in these growing nursing fields, candidates must have work experience and complete a graduate-level program at an accredited school. Many ambitious nurses choose the DNP program over the shorter master of science in nursing (MSN) program. While the MSN is the most popular graduate nursing program, and MSN-holders are certainly part of the healthcare industry’s upper echelon, top employers look very favorably upon candidates that hold a DNP or PhD. This is especially true for senior-level systems and organizational roles. A typical DNP program will take one to two years to complete for students holding an MSN, and three to four years for students that hold a bachelor of science in nursing (BSN) degree. Some top programs are open only to nurses who have already completed an MSN with an APRN specialty. All DNP enrollees can expect to study a diverse range of advanced nursing topics. Popular courses include quantitative methods, evidence-based practice, organizational and systems leadership, clinical data management, analytical approaches to outcomes management, advanced nursing health policy, and healthcare systems transformation. Tuition costs for DNP programs depend on entry point (post-baccalaureate vs. post-master’s) and the amount of coursework transferred. Costs also vary by type of school (public vs. private), region of the country, and residence status. We reviewed total tuition costs for dozens of DNP programs across the U.S., and we found that they typically cost between $20,000 and $40,000, not including health insurance fees, books and supplies, travel, or lodging costs. 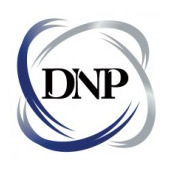 A successful advanced practice nursing career begins with a top DNP program. Browse our directory to find the best doctor of nursing practice programs in your local area.